It’s show time! World Finger Fight Time! Watch as Donald Trump Battles Russia’s Putin, Chinese Xi Jinping, North Korea’s Kim Jong Un, and Philippine's Duterte To Make America Great Again. For anyone that is searching for some funny puppets for kids, then you have hit the jackpot, and your search ends here! 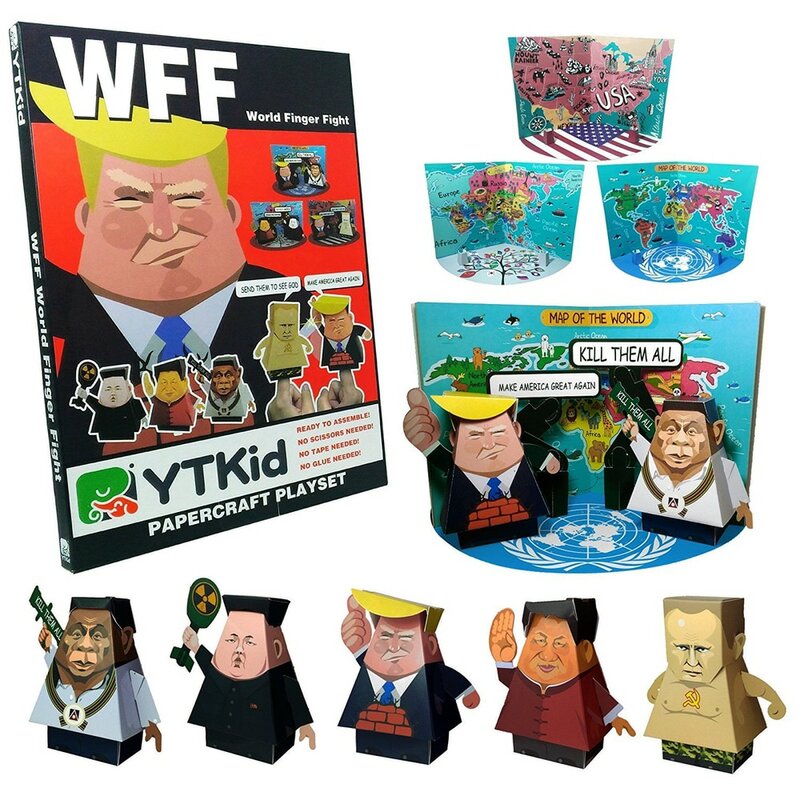 These folded paper toys are an excellent way to feed the love of your kids as they use their imagination to make something all on their own!